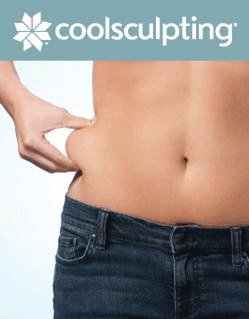 The top 10 things about CoolSculpting you might not hear on TV. 1. More than 7/10 people would do it again, according to the RealSelf Worth It Rating. 2. “CoolSculpting is not a procedure to improve your skin laxity.” – Dr. Leyda Bowes. Meaning, if your skin is already saggy, CoolSculpting will do nothing to improve skin sagginess. 3. 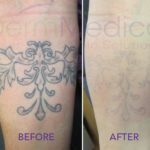 It can be uncomfortable: “CoolSculpting by Zeltiq can be uncomfortable during the first 5 to 15 minutes when the vacuum grabs the skin and fat.” – Dr. Michael Persky Patients usually don’t describe any “pain” during the procedure but the first few minutes are definitely a different sensation. Dr. Crippen explains it as “uncomfortable” for the first few minutes. 4. It’s really a two hour procedure. It’s marketed to only be an hour, but that’s for “one area.” Each love handle is a separate area, but the lower abdomen is just one as it uses a larger applicator. 6. Only one treatment is needed to see 20-25% fat reduction in that area. (but if you get more, doctors say you’ll see an additional 20-25% each time) Some patients don’t see success in round one, but find the “Second time’s a charm” to get visible results. With the second treatment you should see the same amount of reduction or even more. 7. Doctors and patients agree that “recovery” could involve a few days of soreness (“similar to the day after you’ve done a hard work out”), and lingering tingling in treated area (“pins and needles and bee stings were uncomfortable”). The nerves in the treated area are a little “stunned” following the procedure and the skin feels “weird” for a few days. This sensation always passes and returns to normal in a few weeks. 8. Full results take an average of 2-3 months to show. Occasionally, some people will show results within weeks, while others will take 4-6 months. Dr. Crippen felt that his end result was 3-4 months following the procedure. 9. Patients treating the lower abdominal area might experience some cramping immediately after treatment or a number of days later. 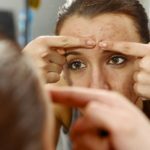 This is very common but not concerning, says Dr. Crippen of DermMedica, it always passes and shows that the treatment IS working. 10. It’s not a “license to eat”. If you gain weight, the remaining fat will get larger and lessen the results.” – Dr. Steven WeinerDoctors recommend maintaining a healthy diet and exercise regime for lasting results.